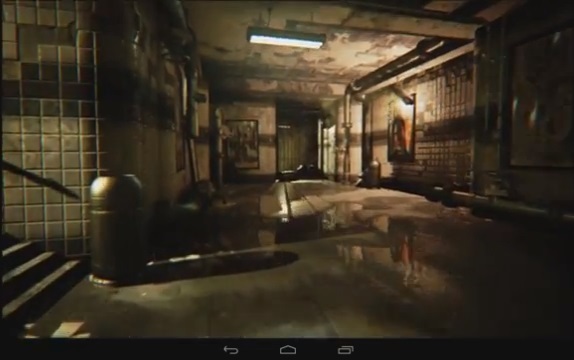 Just the other day some friends and I were talking about how much longer we would have to wait to have Xbox 360/PS3 quality games and graphics on a mobile device. And little did we know that Nvidia was about to answer that question far sooner than we anticipated. 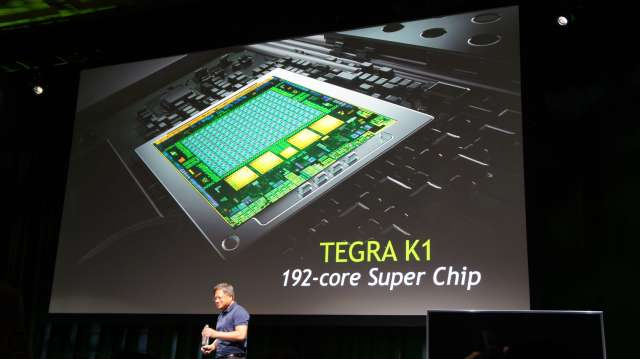 The new Tegra K1 has 192 CUDA cores and takes the same Kepler architecture we find in their desktop GPUs to the mobile world. Even more impressive, it can do this while using just 5W - compared to the 100W used by each of these game consoles. 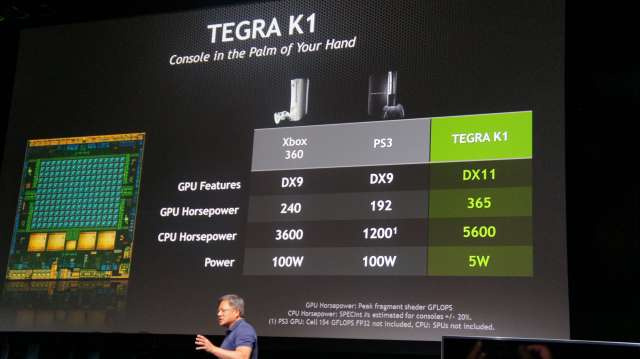 Nvidia has also scored a nice partner, showing Unreal Engine 4 running on the K1 as well as some games, like Trine and Serious Sam 3. Though there's still room for improvement (as always), it's incredible that we will have access to this kind of graphic power in mobile devices this year. And best of all, in the second half of the year a new K1 version will pop up, with a dual core 64 bits "Denver" CPU (the current version uses a 32bit quad-core "plus 1" CPU). ... So... how long will we have to wait till the same thing happens to the newer PS4 and Xbox One? Four years? Less? What's your take on that?